People have lots of questions about how to get tested, if they should get tested, what if the tests come up negative yet they feel the test is wrong. 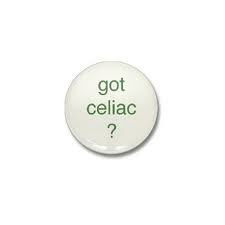 Many celiacs are low in some nutrients such as calcium, iron, ferritin, potassium, zinc, A, D, B12, and copper. Bone density can be an issue and should be checked. Thyroiditis as symptoms similar to celiac disease, as well as being associated with celiac disease. Getting checked for hypothyroidism is often helpful. Here is an interesting article from Dr. Sheila Crowe, a professor in gastroenterology and hematology at the University of Virginia, to answer those questions in detail.